Hey there! I'm having a strange issue, everytime I try to access iTunes store it tosses me a message "cannot connect to iTunes store". Now, I'm wondering why can't I connect to iTunes store when the internet is working properly? Please help! Hello user, we can understand how frustrating it could be to get stuck over a message cannot connect to iTunes store and you have no clue what went wrong that triggered this message. But fret not! We have tailored this post to help you understand the main reasons involved behind the aforementioned issue. 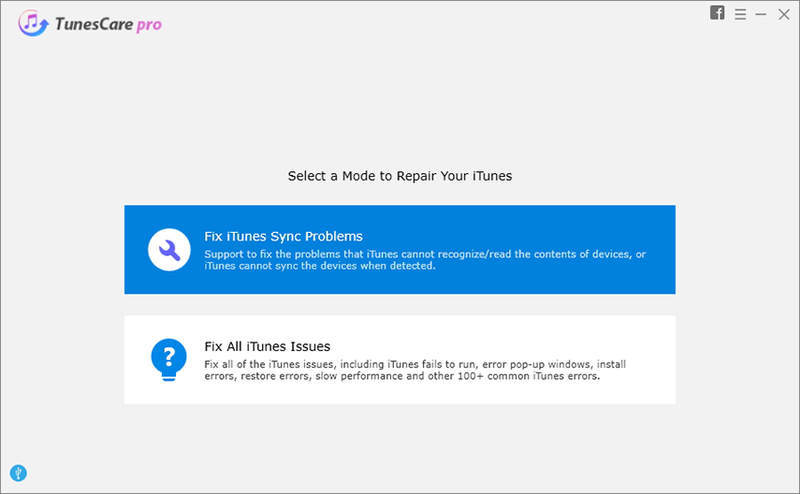 Moreover, we have also brought to you the top ways to fix cannot connect to iTunes store issue in just a matter of few minutes. Let's understand them all. Well, there's no rocket science involved behind the "cannot connect to iTunes store" issue and the fixes that you can perform to get the issues resolved are quite easy. We are going to discuss them in the latter part of the article but for now, the main reasons why you cannot connect to iTunes store could primarily be because of internet connectivity or out dated version of iTunes/iOS version on your device. Yes, a poor connectivity may disrupt the connection between the device and the iTunes Store which ultimately triggers the message over your screen. On the other hand, if you are running an out dated version of iTunes/iOS firmware then also you are most likely to get the message 'cannot connect to iTunes store' on apple tv/iphone/ipad/ipod touch. It's now time to move towards exploring the best possible ways to fix the cannot connect to iTunes store on iPhone or other iOS devices. Cannot connect to iTunes store issue is usually triggered due to the poor connectivity or disruppted internet connection. Therefore, checking your network connectivity or internet connection may resolve the issue in the first place. For this you need to make sure that you have an active and stable internet connection. If you are using a cellular data connection, try switching to storger and more stable internet connection. For instance, Wi-Fi. An out dated system may equal odds of tossing cannot connect to iTunes store message on your screen. Follow the steps to get your system firmware updated to the latest version. Windows: Start Menu > type Update > tap Check for Updates. Improper Date and Time settings also cuts off your internet connection, eventually, triggering cannot connect to iTunes store on iPhone. To avoid any disruption in your internet connectivity, make sure your Date and Time settings are set appropriately. Head to Settings > General > Date & Time > toggle on the 'Set Automatically' switch. Try turning off all restrictions/parental controls over your Apple device. To do this follow the steps below. Head to Settings > General > Restrictions > Disable Restrictions. Sometimes, firewall may block the connection between the iTunes and Apple servers which ultimately leads to cropping up cannot connect to iTunes store message on your screen. Make sure to grant iTunes the permissions to access the internet through 'Firewall settings' to avoid disruption in connectivity. An out dated iTunes app also triggers cannot connect to iTunes store message over your screen. Get the app updated to the latest version and check if the problem resolves. To do this, launch 'App Store', get into 'Updates' section and then tap 'Update All' button. Sometimes it is hard to gain access to a Wi-Fi connection in remote areas or when you're on your way to office or gym or at other places. In such a case, you have to rely on cellular data connection. At times, when your device isn't able to maintain a stable cellular data connection, try turning off your device, plug out the SIM card, wait for about 15-20 seconds and reinsert the SIM card into your device. Now, boot your device and check if the problem resolves or not. Force rebooting your device is known to be one of the most effective solutions to fix several iOS issues in first place. 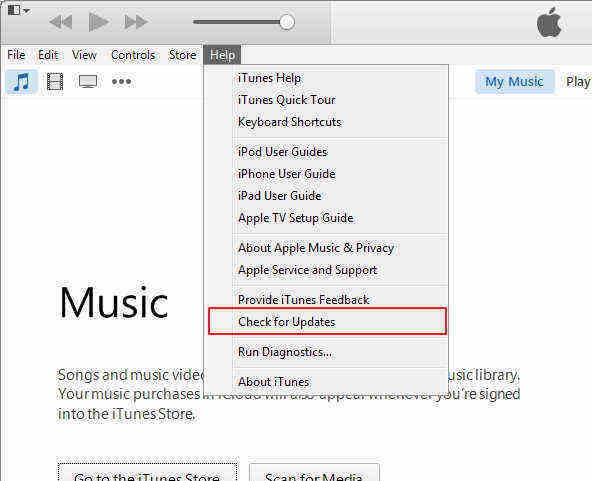 Perform the steps below to rule out the cannot connect to iTunes store in your case. You need to keep holding down the 'Home' key ('Volume Down' if you own iPhone 7/7+) along with the 'Power' key for no less than 10 seconds. Just in case any of the solutions mentioned above were not able to bring you positive results, then the problem seems to be a bit more technical. In such a case, we would like to introduce the recommended way, Tenorshare ReiBoot, to effectively and efficiently resolve all iOS related issues in just a matter of a single click. Moreover, if in case your device is stuck in Recovery/DFU mode, you can make use of this software to get your device back into the normal working state in just a matter of single click and that too for absolutely free. Moreover, the software is fully compatible with almost all iOS devices. As we move towards the end, Tenorshare ReiBoot turns out to be a saviour when it comes to resolving iOS issues. Thus, we now hope that your issue 'cannot connect to iTtunes store' must have been resolved with help of the aforementioned solutions.